BURNABY — Grace Fetherstonhaugh has got the first one out of the way. Now she hopes the path just keeps getting smoother as she attempts to round into the kind of form which will help carry her to the No. 1 goal of her senior season. Judging by the way she started things Saturday, that looks to be pretty far. 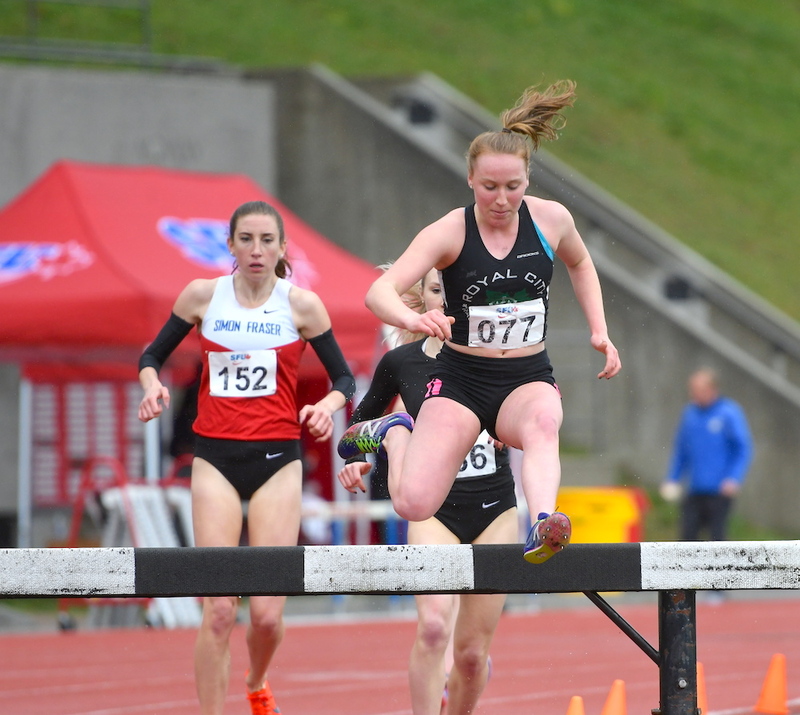 Competing for the Royal City Track and Field Club, Fetherstonhaugh ran her first steeple of the campaign, this one of the 2000m varsity, where she clocked 6:53.43 to finish second behind SFU’s Julia Howley who broke the finish line in 6:50.11. That’s pretty impressive company Fetherstonaugh is keeping, considering the senior Howley’s pedigree as one of the most dominant middle distance runners in all of NCAA D-2 competition. As well, Fetherstonhaugh eclipsed the time of 6:55 she clocked last season at the Mondor, a time which for the then-Grade 11 was not only good enough to win the race, but to set a new meet record as well. And while she has her entire senior outdoor season yet ahead of her with which to chase down her international goals, her journey has also recently taken a much larger overall look. After visiting at both Simon Fraser and UBC, as well as taking NCAA D1 visits to Penn State, Washington State and Idaho, Fetherstonhaugh fell in love with the burgeoning program at Oregon State, and thus is set to join the Beavers’ women’s-only track and field program next season, under new head coach Louie Quintana who assumed his new position in July. 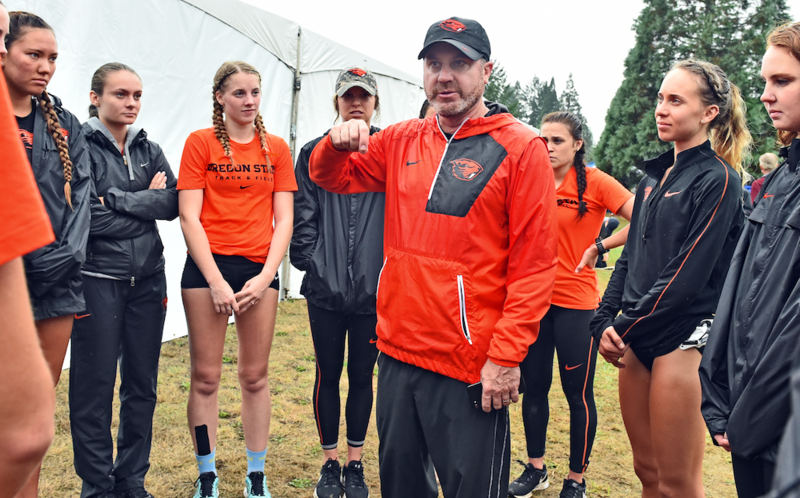 Quintana is the former head coach of both the men’s and women’s cross-country teams at Arizona State, and he will also coach Fetherstonhaugh on the trails this fall. The former head coach of the Sun Devils’ distance and middle distance teams since 2004 as well, Quintana was the 2006 U.S. Track and Field and Cross Country Coaches Association Distance Coach of the Year. 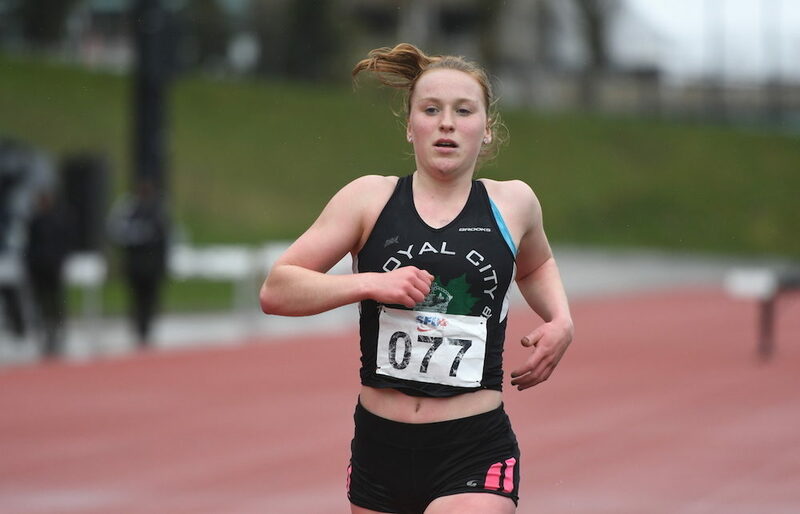 Fetherstonhaugh, of course, had an amazing finish to her Grade 11 high school campaign last June at Langley’s McLeod Athletic Park, setting the new B.C. finals meet standard in the 1,5000m steeple (4:54.81). She also finished third in both the 1,500m (4:32.80) and 3,000m (9:51.03). Just before declaring for Oregon State, Fetherstonhaugh finished second at the B.C. high school cross-country championships this past November. Her personal bests on the track include 4:31.49 in the 1,500m, 9:33.71 in the 3,000m and 10:15.32 in the 3,000m steeplechase.